Born in Dawson, Minnesota, Stan Kleven was raised on a farm near Milan, Minnesota. He attended St. Olaf College and the University of Minnesota, receiving his DVM in 1965, and his PhD in 1970. From 1965-66 he was a large animal veterinary practitioner in Hettinger, North Dakota. He subsequently returned to the University of Minnesota where he did his doctoral research on Mycoplasma meleagridis in turkeys under Dr. B. S. Pomeroy. In 1970 he moved to the Poultry Diagnostic and Research Center at the University of Georgia in Athens, Georgia where he remained until partial retirement in 2006 and full retirement in 2008. He served as director of PDRC and head of the Department of Avian Medicine from 1972-1982 and again from 1990-2003. Dr. Kleven is best known for his research and service in the area of avian mycoplasmosis, especially M. gallisepticum and M. synoviae. His research centered on improved detection methods and methods of control, including work on vaccines against M. gallisepticum. He also collaborated with colleagues on research on Marek’s disease, Newcastle disease, infectious coryza as well as others. He is the author or co-author of over 200 papers in peer-reviewed journals. He has served as major professor for 17 PhD graduates, as well as numerous masters students. 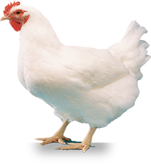 He is an active member of numerous organizations, including the American Veterinary Medical Association, the American Association of Avian Pathologists, the World Veterinary Poultry Association, the International Organization of Mycoplasmology, the National Poultry Improvement Association, and the U.S. Animal Health Association. 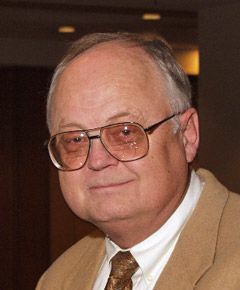 Among his numerous honors and awards were his appointment as Distinguished Research Professor and later, Regents Professor at the University of Georgia, and the Special Services Award of the American Association of Avian Pathologists. Dr. Kleven is married to the former Kathleen Burns, and has 3 grown children, Laurel, Timothy, and Daniel and one grandchild. He enjoys his retirement with reading, gardening, travel, and relaxation.